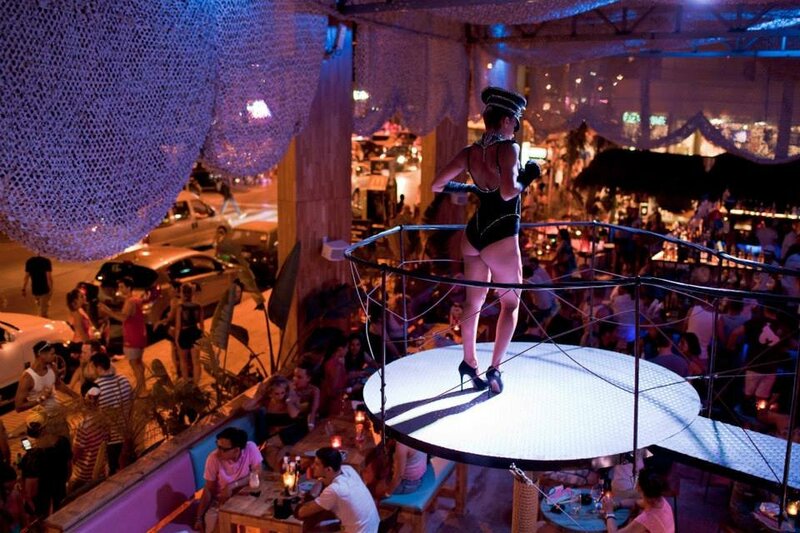 A lively bar and diner in the centre of the Playa d'en Bossa action. Impossible to miss, Dunes is the big, two-storey open plan bar and diner on a prominent corner along the main strip of Playa d'en Bossa. It's the one draped in camo-netting, with some fine-looking ladies busting a move on platforms above your head, and flaming cocktails spewing forth from the bars. The food menu serves up a bit of everything, with a focus on Mexican dishes like nachos and all-American giant plates of meat. Dunes is a great place to grab a filling dinner, then to stay for drinks and watch the place transform into a stomping nightlife venue. Like all the Playa d'en Bossa bars, Dunes is a mere stumble away from superclubs Ushuaïa and what was once Space.